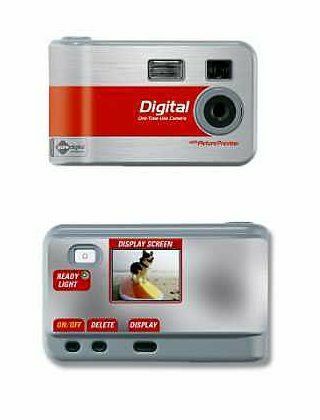 NEW YORK (Reuters) – Pharmacy chain CVS Corp. on Thursday said it would offer the world’s first disposable digital camera with a bright color viewing screen that allows consumers to instantly preview pictures. The new camera, priced at $19.99, marks an evolution from the first generation of one-time use digital cameras sold in U.S. retail chains, including Walgreen’s, for the past year. This older line had no ability to instantly review photos. It also marks the in-roads digital cameras are making against older types of analog cameras in the market for cameras at the most basic level. Woonsocket, Rhode Island-based CVS said its new one-time use camera would be sold under the CVS brand exclusively in its own stories. One thousand CVS outlets now carry the cameras and 3,000 will carry it by the end of the year. The camera relies on a system developed by Pure Digital Technologies of San Francisco, a start-up that has lured away senior executives from photography giants Eastman Kodak Co. and Fuji Photo Film to develop digital cameras to be sold in partnership with mass-market retailers. A similar model will be offered by Ritz Camera and Walt Disney Co. resorts, a spokeswoman for Pure Digital said. Steamboat Ventures, the venture capital arm of Disney, is a backer of Pure Digital. The camera comes with a 1.4-inch liquid crystal display (LCD) screen that allows users to preview pictures, delete poor images, and re-shoot them to obtain the best shots possible. Other features include a fully automatic flash, metered exposure control and a 10-second self-timer function. Consumers can return the camera to CVS stores for processing and receive film-quality prints and a compact disc that allows pictures to be stored or e-mailed, CVS said. A second model, the CVS Digital One-Time-Use Camera with Delete Feature, offers the same features but without the LCD preview screen. It’s priced at $9.99. Both cameras hold 25 pictures and can be recycled after processing.